Jason Derulo does up to 400 push-ups a day and admits dancing during his world tour is also hard work. 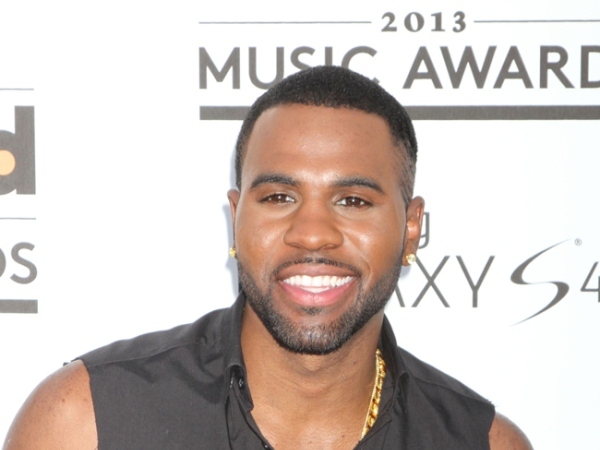 Jason Derulo does up to 400 push-ups a day. The 24-year-old star, who is known for his toned physique as well as his singing skills, has revealed his gruelling workout as he continues his Tattoos World Tour. He told BBC Radio 1: "I feel like my body is used to not sleeping sometimes, it's better for me to just stay up. I try to go to the gym every day. What I've been doing on tour is push-ups every day, I'll add 25 every day, so I'm at 400 now. " "It takes about 30 minutes, [maybe] a little less. I do 30 minutes of abs before the show, the show is an hour and a half but my body is used to it. I don't wanna get skinny so I try to do some weights as well." The Talk Dirty hitmaker admits dancing is "hard work" but he still finds time to work out and finds it easier to exercise with friends so they can swap routines. He explained: "All you've got to do is switch it up each day, so if you work out with a couple of friends, you do an ab work out, then your friend does an ab work out." Meanwhile, Jason is currently in the UK before he heads to Australia and New Zealand for the rest of his tour and has also stopped eating meat in order to get his body in even better shape. He said: "It's been kind of hard because everyone around me eats great stuff ... chicken [and] burgers, but I'm starting to like fish a lot more now."